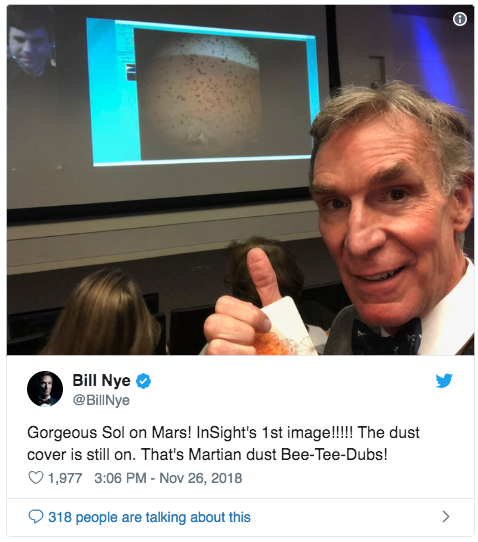 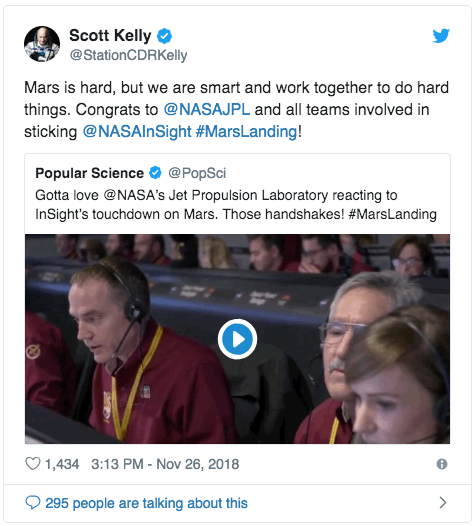 Here's what experts say about the landing, from Bill Nye to Scott Kelly. 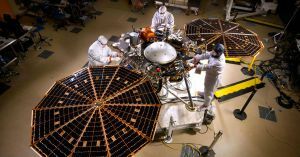 On May 5th, NASA launched its InSight Mars lander from California’s Vanderberg Air Force Base. 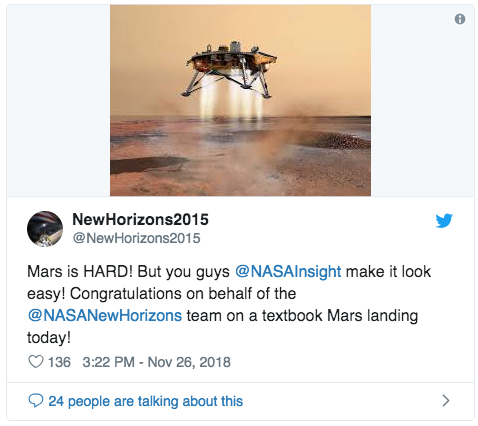 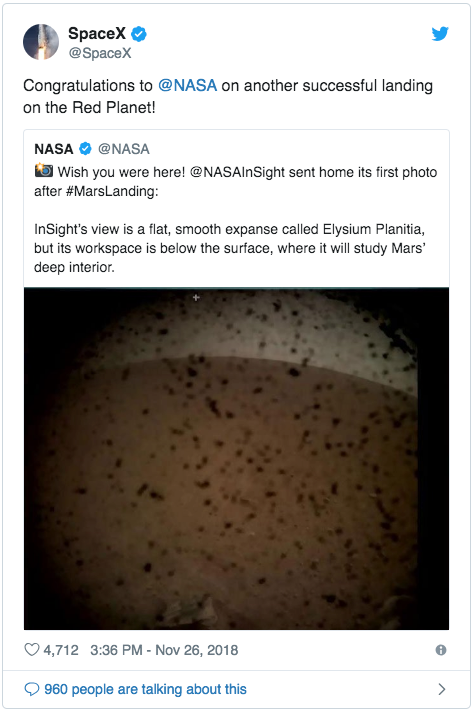 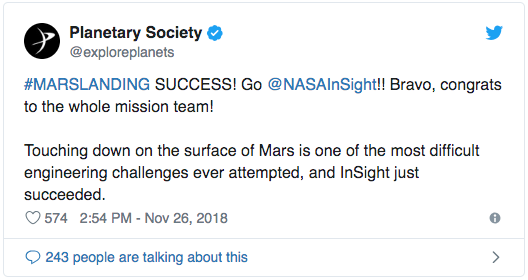 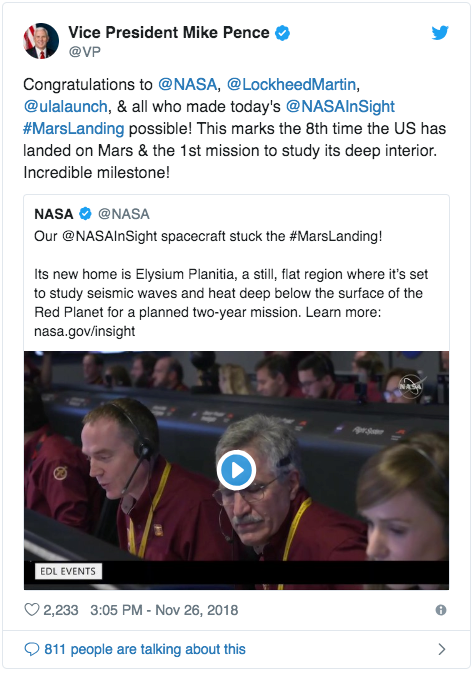 On Monday afternoon, following “seven minutes of terror,” the craft reached its final destination — Elysium Planitia, a flat plain near the Red Planet’s equator — where it will now spend the next two years conducting scientific research focused on the planet’s interior.